Many dogs are incorrectly labeled as the wrong breed. When there aren’t any labels, their chances of adoption go up. A new trend has been making the rounds at shelters across the country: Breed names are being removed from dogs’ cage card descriptions. Without breed assignments, some dogs are being given a second look, and many shelter pets are being adopted based on their personalities rather than breed expectations. Let’s take a look at what this means for dogs. The study focused on the effect that breed labels had on potential adopters and found that people tended to be more wary around certain breeds, including pit bulls. While individuals responded negatively toward dogs labeled “pit bull,” the reaction was more positive around lookalikes who didn’t have a breed label. 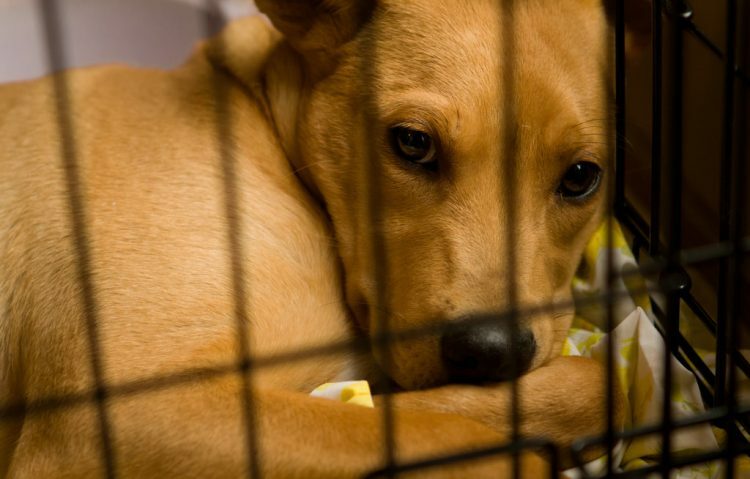 The results of the study isn’t news to one Florida shelter. Orange County Animal Services made the decision to remove breed labels from its pets’ cage cards 2 years before the study was published. A spokesperson for the shelter reported making the change because breed labels were “potentially putting a stigma or connotation on the dog that may not be true.” They hoped that removing the labels would encourage adopters to judge the dogs based on their actual personalities, rather than negative stereotypes. Orange County Animal Services had 3 record-high adoption months the year it removed breed labels, and its staff members are contacted by shelters across the country that would like to make the same change. Because DNA testing is too expensive for most shelters, identifying the dogs’ breeds takes a lot of guesswork. Although 25% of shelter pets are purebred, most are mixes. With 189 breeds recognized by the American Kennel Club, the combinations are limitless. Many adoptable pets are classified broadly as mixed hound, shepherd, retriever, terrier, etc., mostly because it’s extremely difficult to accurately select the exact combination of breeds that make up 75% of the dogs in a shelter. So, half of the “pit bulls” in shelters aren’t actually pit bulls. Pit bulls weren’t the only breed to benefit — adoption rates also increased for mastiffs, dobermans and Boxers. … adopters will make decisions based on the dogs’ actual behaviors. Perhaps that Border Collie mix is a doll with children. Maybe the Beagle mix would rather snooze than bay, and the Lab mix might not care less about ducks. According to Kristen Auerbach of Austin Animal Center, “Breed labels come with a set of expectations, generalizations and stereotypes” that “set unreasonable expectations for shelter dogs.” Removing labels could be the first step toward a more informative and considerate approach to the adoption process. Software compatibility. Most animal shelters use computer programs that require breed labels. The breed type entry is mandatory for many of these programs and is automatically printed on cage cards. Homeowner’s insurance and rental limitations. Many insurance companies and rental units have restrictions on dog breeds, including pit bull–type dogs, Dobermans, Rottweilers, Bulldogs, shepherds, etc. 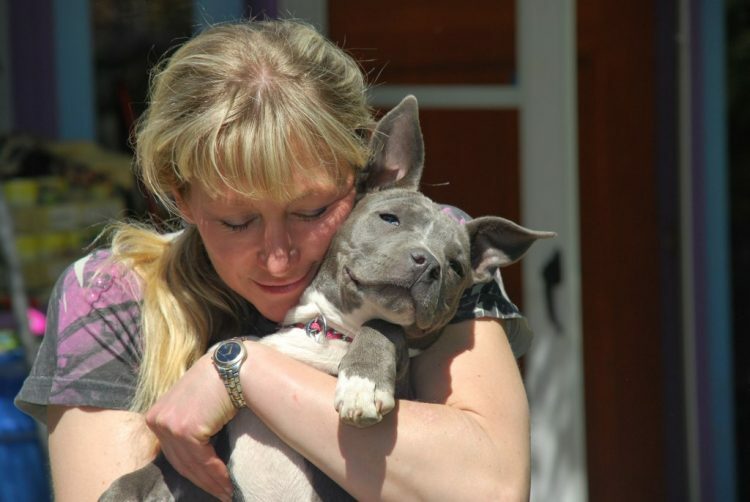 Breed-specific legislation (BSL). A number of regions across the United States enforce BSL, banning dogs who have physical characteristics similar to pit bulls, Bulldogs or mastiffs. Shelters that remove the labels must address these problems. Otherwise, adoptions may fall through or the adopters could face serious consequences. As long as these issues are remedied, shelters can remain attentive and responsible when placing their dogs in compatible homes. Removing breed labels could mean higher adoption rates, lower euthanasia rates and happier adopted pets.